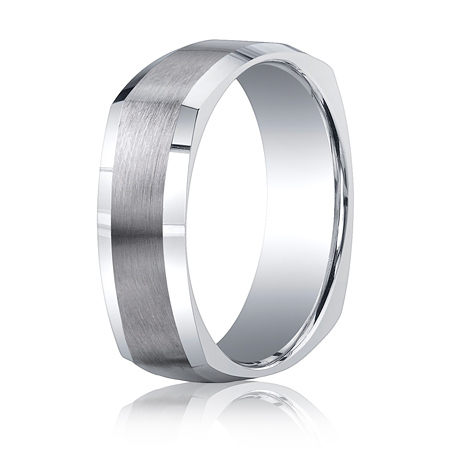 This Argentium silver 7mm wedding band has a four-sided design with a satin-finished center and polished beveled edges. Comfort fit. Made in the USA. Available in whole and half finger sizes, 6-14.